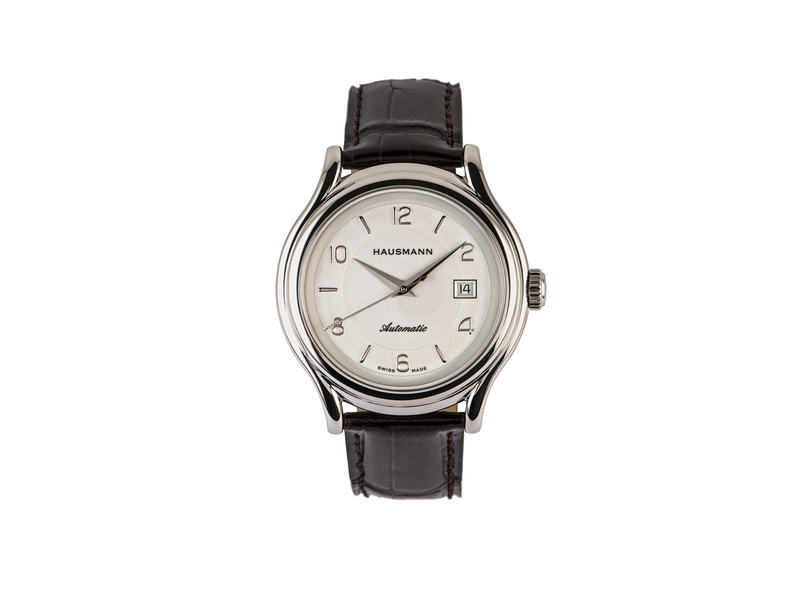 Hausmann & Co. watch with stainless steel case, 42mm diameter. 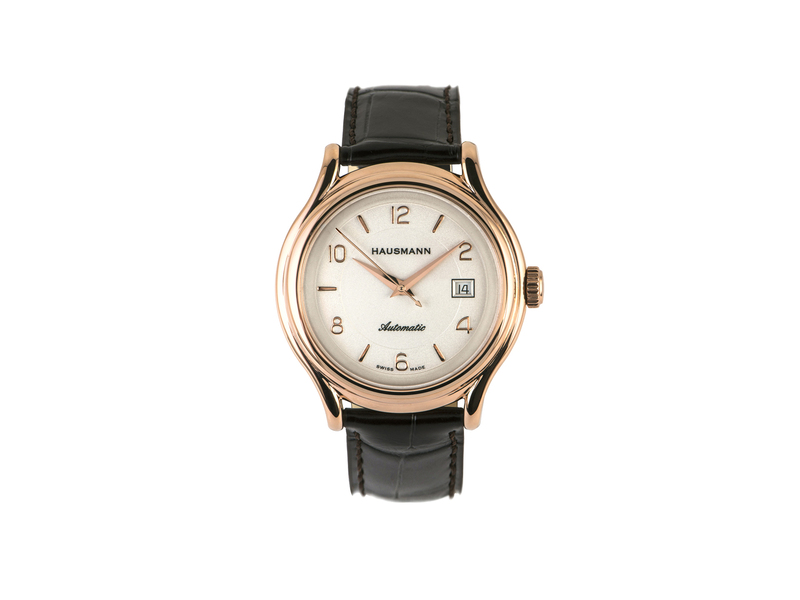 Automatic movement made in Swiss, 23 rubies, with date indication in a window at 3 o’ clock. 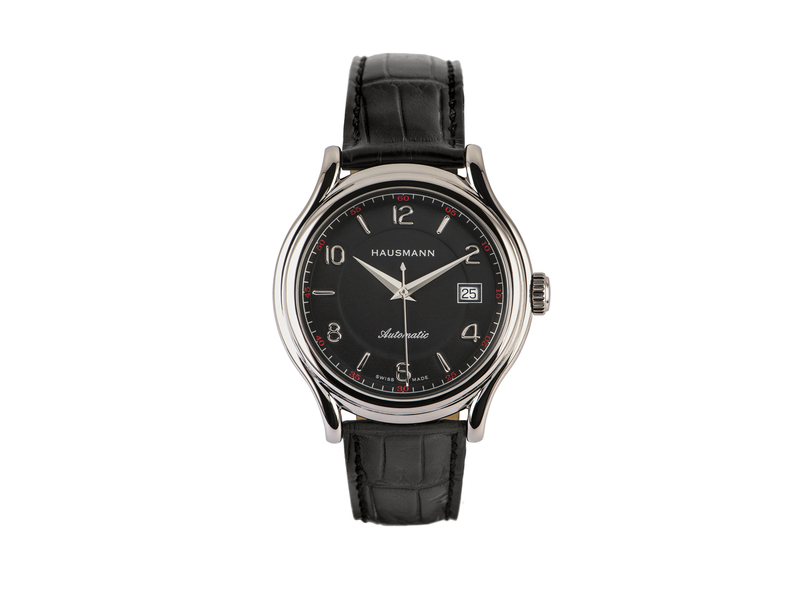 Personalized Hausmann & Co. rotor. 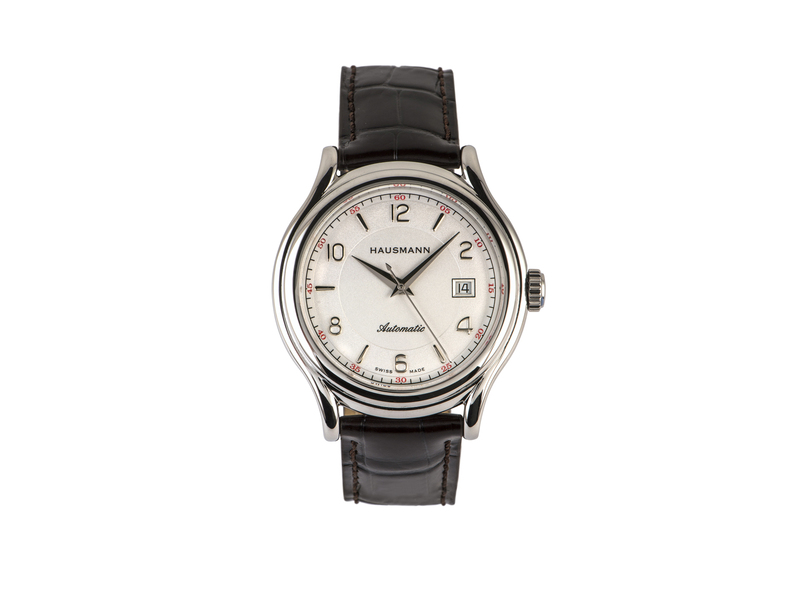 The black dial is garnished with red minutes printed numbers; applied indexes and numbers mark the hours.